When I see these older holiday advertisements... 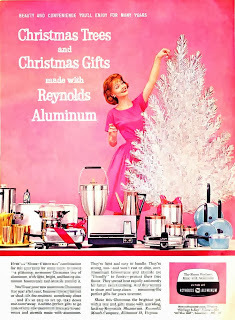 I realize there is so many wonderful vintage aluminum kitchen wares out there to be found. Including that tree! Look at that wonderful turquoise Club cookware. I love this old Club cookware. 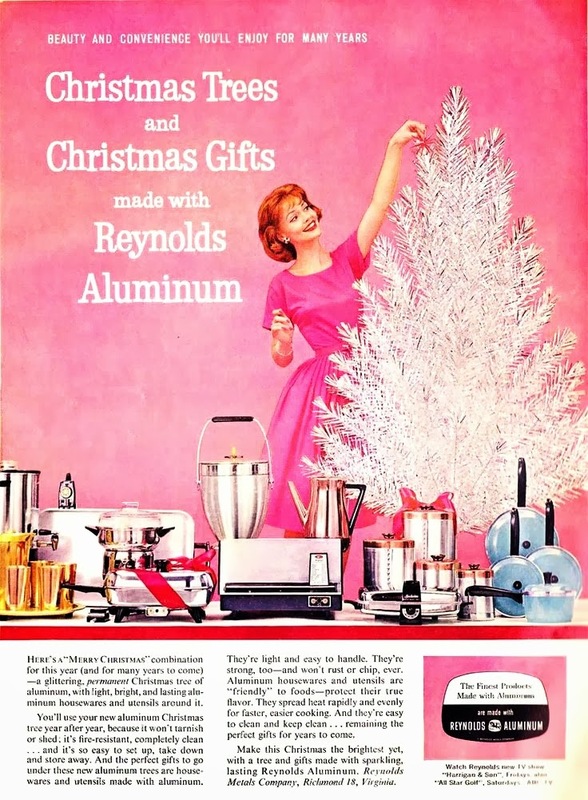 Did you know that there is even a wonderful set of Club Aluminum in pink!?!? The few times I have came across the pink pieces... they have been in rough shape. 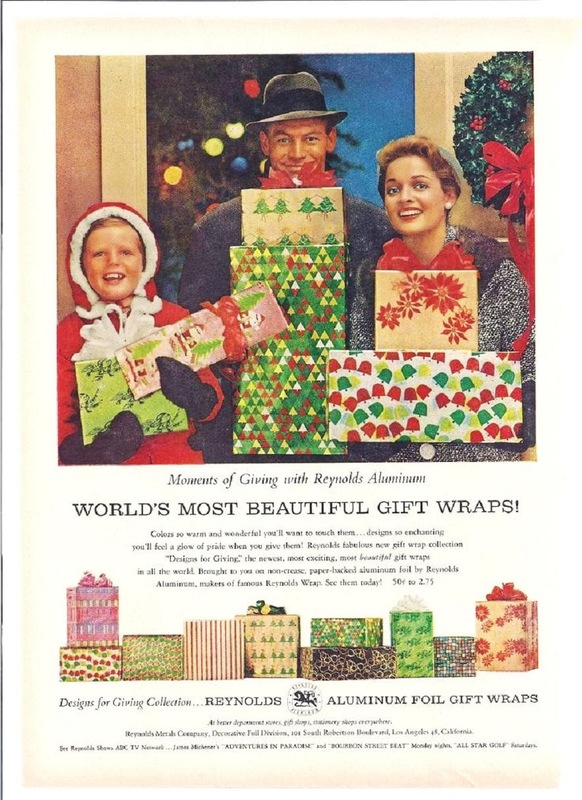 But one of my favorite things with the aluminum blend is wrapping paper. 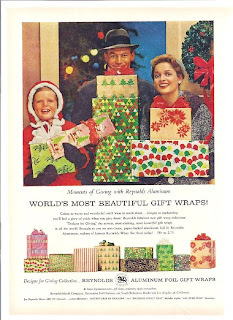 I make it a point to find, what I call foil wrapping paper, every year. I love how it just glows when it is under the lights of the Christmas tree. Nothing like a little gold glitter to perk up a simple Christmas card!